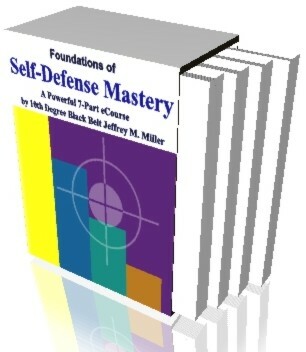 The Foundations of Self Defense Mastery eCourse is the Perfect Place to Start! And begin Taking Care of This Very Real and Very Important Area of Your Life! The All New! 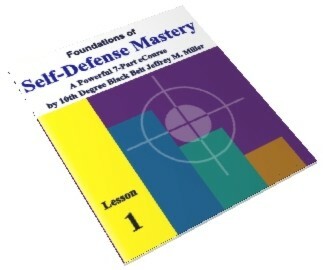 "Foundations of Self Defense Mastery" e-Course, written by international self protection and personal development expert Jeffrey M. Miller, has just been released! This powerful program is the first in a series of online e-courses to be offered to members of WCI and subscribers of our online Self Defense Newsletter. HURRY THOUGH! I've been asked time and again by those who have seen the course materials and have gone through my live programs, "why are you giving all that away for free?!" And they have a point. 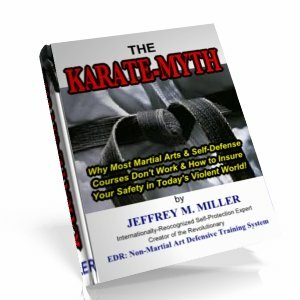 Before this, the information contained in this course was only available to those who go through my six-month "Introduction to Self-Protection" Program, or the EDR:Non-Martial Arts Defensive Training program. These programs cost several hundred dollars each. 2. This is one of the only ways that I know of that will make the greatest impression on those looking for good, solid, reliable self defense information. The best way for them to see and recognize my knowledge and expertise, is to give them a sample of what I have to offer. The best of both worlds. Free and usable. 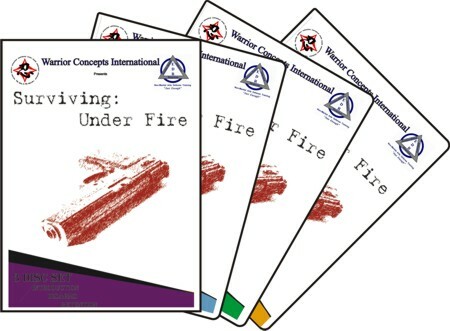 As with all of the powerful self-protection and personal development programs and resources offered through Warrior Concepts International, the "Foundations of Self Defense Mastery" eCourse overdelivers on real-world, accurate information that you can put to use right away to begin making your self and your life more danger-free. This self defense program is delivered via email in 7 easy-to-follow lessons - sent to your email box every other day. Each lesson focuses on an important key element in a sound self defense strategy. ... you will begin to realize the benefits of the program in the shortest amount of time possible. ... to find out about the special offer, you'll have to wait until you've actually graduated. Sorry. Enrollment is Easy! But, it's only available to subscribers of the Warrior Concepts Self Defense Newsletter. If you haven't subscribed yet, that's okay. Just click on the link below and you'll be taken to a special registration page. From there, just provide a couple of pieces of information and that's it! Within minutes, you'll be receiving a thank you letter that contains a "secret link" to register for the course. That's right, there are secret pages on this site that are available only to active students and clients of WCI and subscribers of my newsletter. Within minutes after you enroll in the eCourse, you'll receive your first lesson. Then, you'll receive a new lesson every two days (lessons are sent from our server between midnight and 1am EST). WAIT! To insure that only the right people get access to this special eCourse, and they only get to the registration page properly, it has been password-protected. 1. We use a double opt-in subscription system to make sure that you really did subscribe and that someone didn't use your email address without your knowledge. 2. You will need to be a confirmed subscriber to get the "Thank You" letter with your secret password information. 3. Our free programs are reserved and given only to those who are serious about self-protection and really want to receive them. REMEMBER: If you're already a subscriber, you'll find the link to the registration page in your latest issue of the Self Defense Newsletter. That's OK, just go to the contact page and complete the form requesting the password information. Once we verify your email and personal information as a registered subscriber (you cannot have canceled your subscription if you want to receive this valuable eCourse), you'll receive an email with the link address and the password information (which, of course you promise to never show, share, sell, yada-yada-yada, with anyone who isn't permitted to have it -right?!). This may take up to 24hours, so please be patient. That's it. Enjoy your eCourse!